Download Vivo Adb Hard Reset tools bypass Pattern Pin Password. Here We share Complete Guide to Reset Vivo Phone via adb tools. This tool tested and Working on Vivo Y83, Y81 and Vivo V11.You can test on Yoiur Phone. 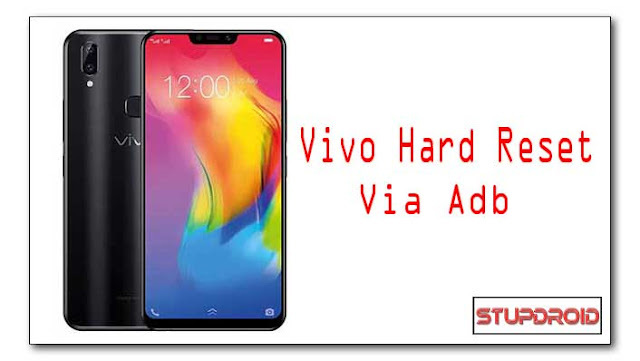 Vivo Adb Hard Reset tools is a utility For android can be use to quickly Wipe user data on Vivo Based Smartphone using the adb Interface. it Will Wipe all Your Data So make a Backup before Process. Charge Your Phone at least 70% to Prevent accidental Shut Down. Create a backup before Process. it will help you to Restore Your Phone. Now Connect phone to PC With usb. Run and tools and Select Port From the Drop Down menu.